Xiaomi recently announced it's 2018 flagship which is the MI 8. 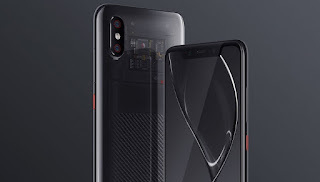 The new MI 8 series comes in three different variants which are the much cheaper variant known as the MI 8 SE, the regular variant and a more expensive premium variant with a transparent back glass and in-screen fingerprint scanner and its called the MI 8 Explorer edition. Even though it's been almost two months since Xiaomi announced the Mi 8 series, sales of the MI 8 explorer edition just began. The phone is now available at MI store and according to Xiaomi, it will start at CNY3,699 which is around $530. The MI 8 explorer edition sports a 6.21” Super AMOLED display with a notch on top which houses the front camera, speaker, and advanced facial recognition software, called Face ID. It is powered by the most effficient Qualcomm Snapdragon 845 chipset coupled with 8 GB RAM and 128 GB of non expandable internal storage. There is no visible fingerprint sensor on the Xiaomi MI 8 explorer edition as is adapts an under-display fingerprint reader. The phone also comes with a 3,000mAh battery and runs on Android 8.1 Oreo based on MIUI 9.5, but a MIUI 10 update will roll out soon.